Yoga straps are one of the most commonly-used tool in the yoga student's tool box -- they help deepen dorsiflexion stretches of the foot while maintaining alignment. The Yoga Direct 6 Foot Yoga Strap is nice to skin and made from tight, textured cotton for the right amount of grippiness. The plastic buckle is solid, strong, and easy to use. The six foot length is adequate for most yogis -- perfect for those who don't appreciate long, dangling belt ends getting in your way. 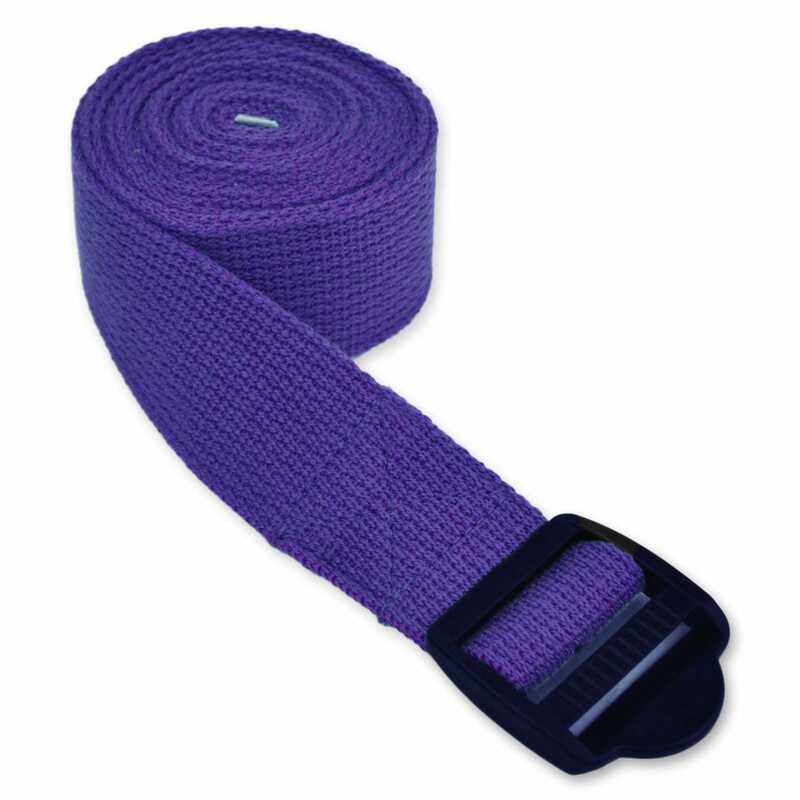 If you are tall or like a longer yoga strap, we also sell this yoga belt in 8 foot or 10 foot lengths You can customize this yoga strap with your name or logo. Yoga Props are useful for yoga students at all skill levels. Whether your students need help maintaining proper alignment in postures, or need extra length to simply connect their limbs together when they are not strong or flexible enough to do so on their own, you will find these Yoga Props are just what the doctor ordered! 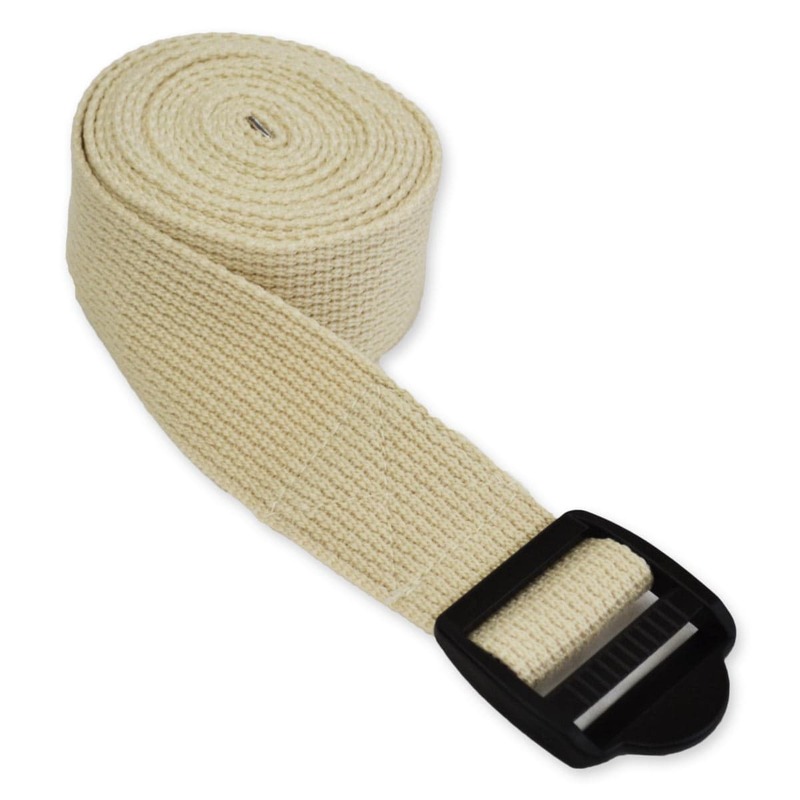 Our Yoga Props are sturdy and durable and made of 100% cotton, and these particular straps measure 6 feet long and feature a plastic cinch buckle. I ordered these belts for my senior yoga class. I needed something inexpensive and basic. This was perfect. Also the plastic clasp does not clank when hitting the floor as the metal one does. Received the shipment in a reasonable amount of time. Love these straps for my yoga practice! Just got these straps to replace our therabands are they are amazing and SUPER helpful! Thanks Yoga Direct! 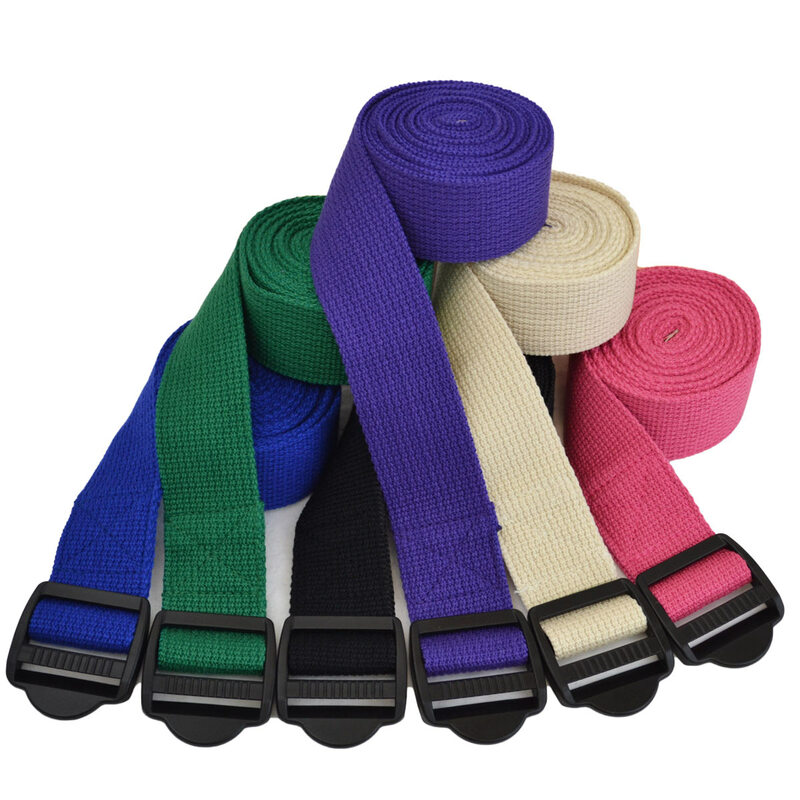 These straps are great for our pre-teen and teen classes. They are long and study, and a great value. Great quality, price and color. If I had thought more about it, I probably would have ordered the 8' instead of the 6' straps, but they will be fine. Great quality Yoga straps! Highly recommend.